Hi! 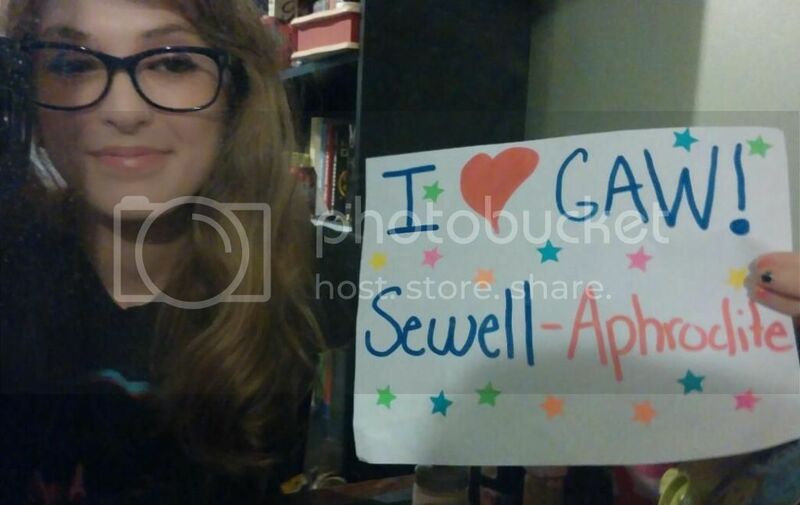 Im sexygeekbazzinga from Roswell and I LOVE GAW!! Last edited by sexygeekbazzinga on Tue May 27, 2014 3:03 pm, edited 1 time in total. Last edited by TEKE on Thu May 29, 2014 11:50 pm, edited 1 time in total.